I’ve been a huge fan of Jo Malone for years now, buying up their goodies whenever I was in the UK long before they hit New Zealand shores. I was worried when Jo Malone left her eponymous brand that it’s essence would be diluted, but clearly it hasn’t and I love it still today. 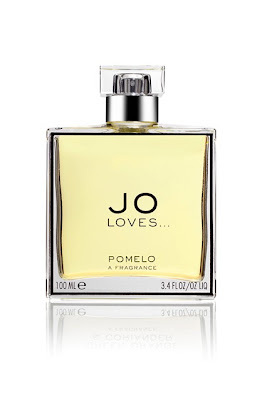 Having said that, the lady herself is back with a new fragrance brand called Jo Loves - five years after departing her original business – and I am gagging for a sniff! She told UK Vogue that she regards her new Jo Loves brand and her former brand - now owned by Estee Lauder - as "like two children who love you very much". How cute is that? The Jo Loves brand launched in the UK at the end of 2011, with new fragrances released over the course of four days from a pop-up store in Selfridges. The first fragrance - Pomelo – has been called fresh and fizzy, whilst Malone describes the others thus: Green Orange & Coriander ("a battered leather armchair and New York rain"), Orange Tulle ("a ballerina's tutu fluttering up and down"), and Gardenia ("it's Mary from Downton Abbey. In the red dress, do you know the bit I mean?"). They were released in limited quantities of 12,000 bottles each.